*Guest post by my husband. The tri-tip he made last night was so delicious! I tried being vegan for a week and a half, and it wasn't too terrible. I missed meat in the beginning, but I really just got used to fruit and vegetables. After a super bowl party with an amazing spread of cheese dip with ground beef, chili, and buffalo chicken hors d'oeuvres, I was back to eating meat. 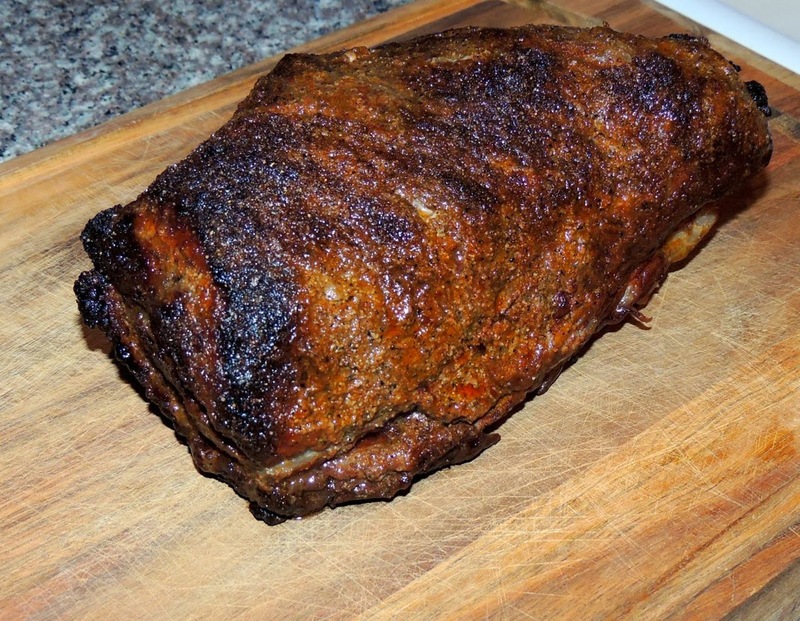 In my freezer was a tri-tip roast, which I defrosted when I got home. Tonight I finally cooked it, and here's how. 2. 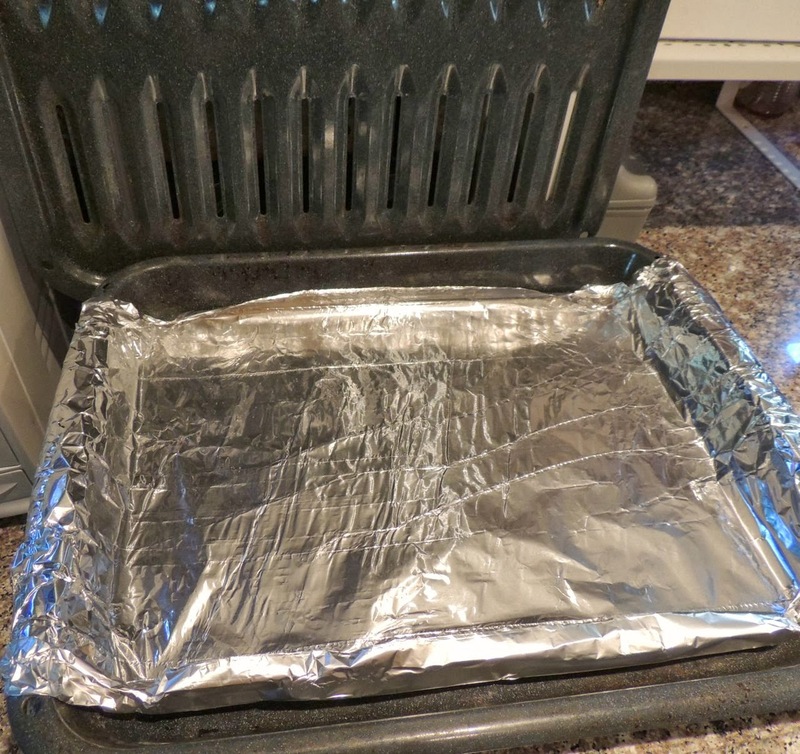 Prepare a roasting pan or broiler pan by lining the bottom with foil. You don't have to, but it helps with cleanup. 3. 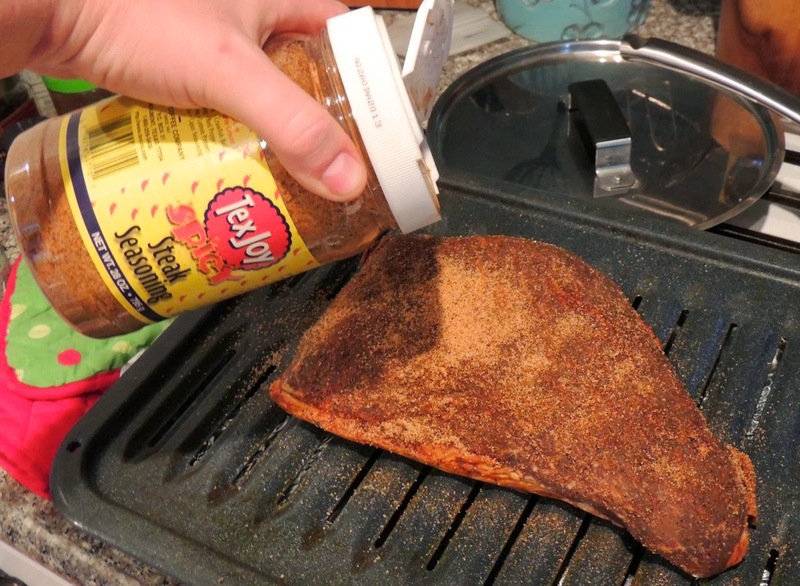 Rub the roast with seasoning. 4. Cook the roast on the rack of the roasting pan for 30 - 50 minutes, until the internal temperature reaches 135 (rare) - 150 (medium). 5. 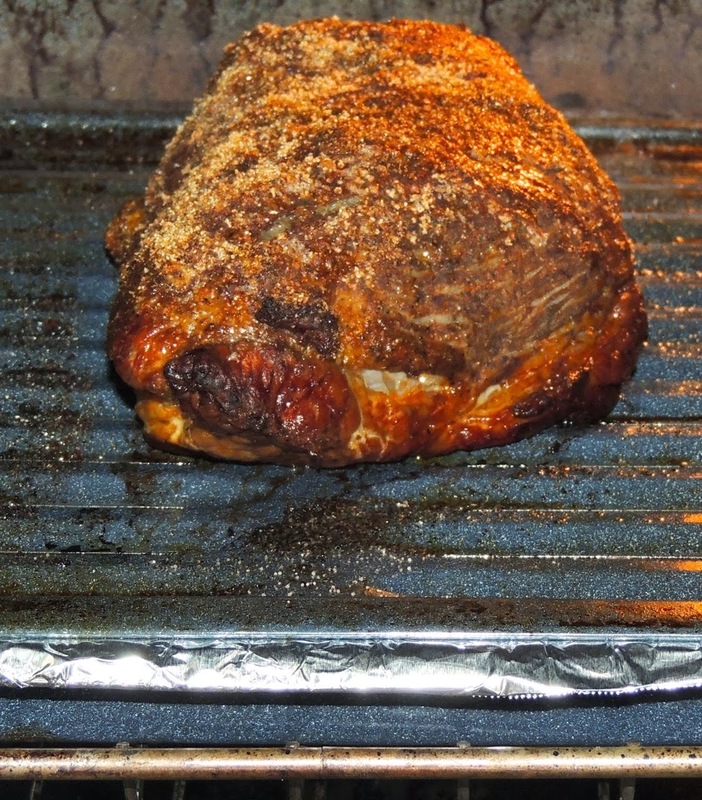 Remove the roast from the oven and wrap in foil and let stand for about 15 minutes. 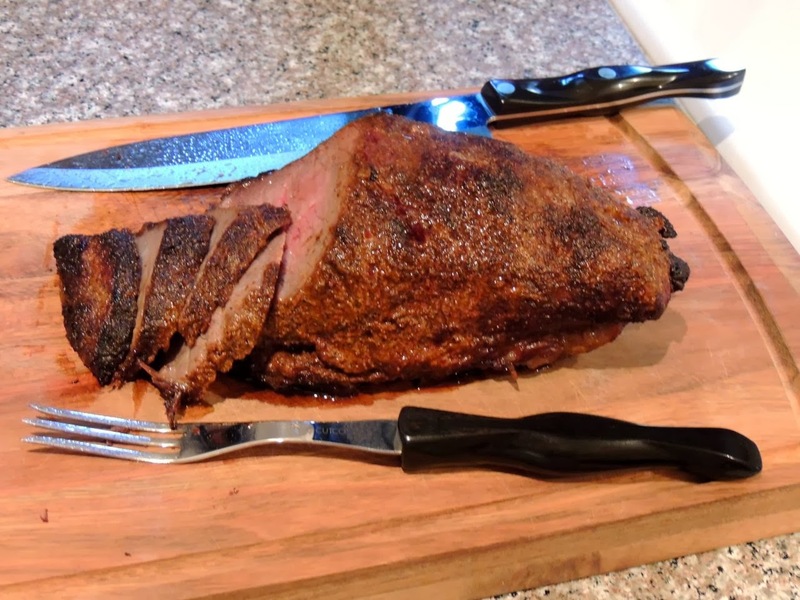 The roast should continue to cook, raising the internal temperature, and allowing the juice to be reabsorbed, which means the juice won't run all over the cutting board. Here's a link for similar instructions. 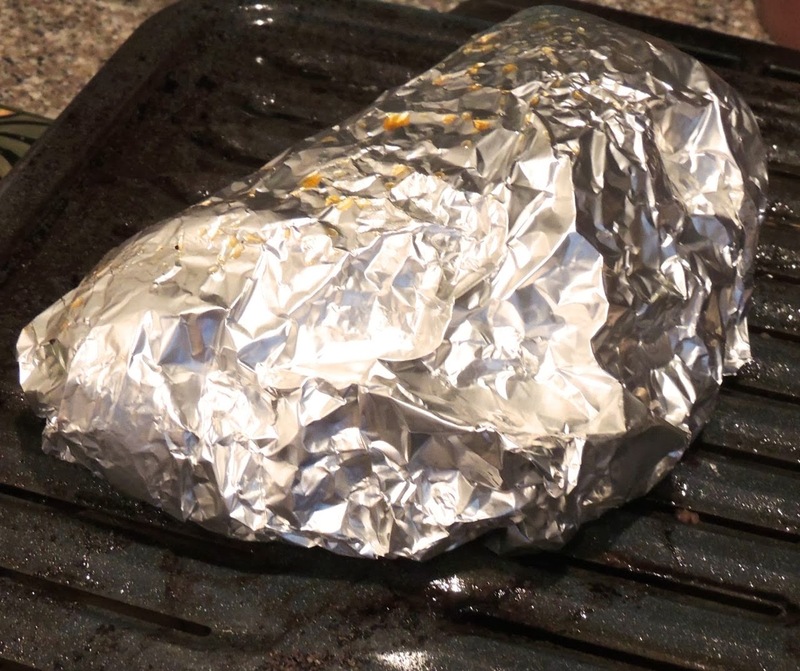 Tip: Because we tend to like meat a little more well done, I let the internal temperature of our tri-tip reach 160, and then I wrapped it in foil. I let it stand for 15-20 minutes. Yes, indeed. Everything is certainly better with TexJoy!